A Chandra Yantra is an occult device used to appease the planet Moon. According to the Vedic astrology, planet Moon is the responsible for mental and emotional balance. Disturbance in mental or emotional life is a result of a weak placement of Moon in the Birth Chart. 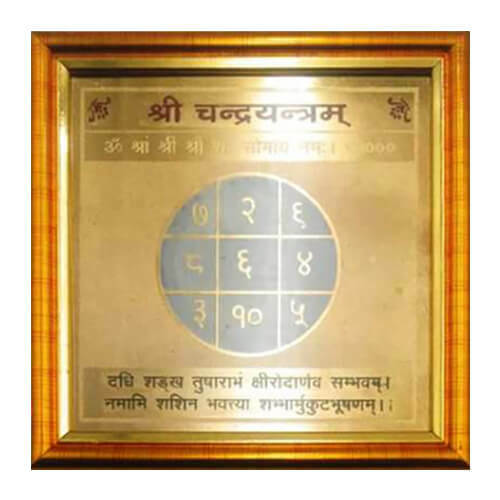 A Chandra Yantra can be used by those who sufferer with ill placement of Moon in their birth-charts to neutralize the malefic effects caused by this ill-placement and to obtain the blessings of Moon.